↑ अ आ "James M. Spencer, THE HIGHEST POINT IN AUSTRALIA". The Sydney Morning Herald. National Library of Australia. 18 February 1885. पृ॰ 7. अभिगमन तिथि 22 February 2014. ; cited in Alan E.J. Andrews, Kosciusko: The Mountain in History, O'Connor, A.C.T, Tabletop Press, 1991, p.50. ↑ अ आ इ "Mountain Kosciuszko, Australia". Peakbagger.com. अभिगमन तिथि 28 May 2015. ↑ अ आ "Kosciuszko National Park". Australian Alps National Parks. Australian Government. अभिगमन तिथि 13 June 2009. ↑ "Mount Kosciuszko". Geographical Names Register (GNR) of NSW. Geographical Names Board of New South Wales. अभिगमन तिथि 27 May 2015. 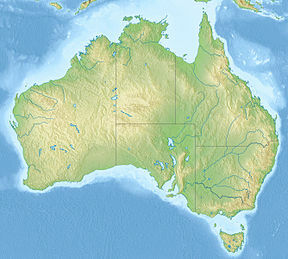 ↑ "Mountain systems of Australia". Year Book Australia, 1901-1909. Australian Bureau of Statistics. ↑ "Facts & figures of all 7summiteers!". अभिगमन तिथि 19 August 2013.